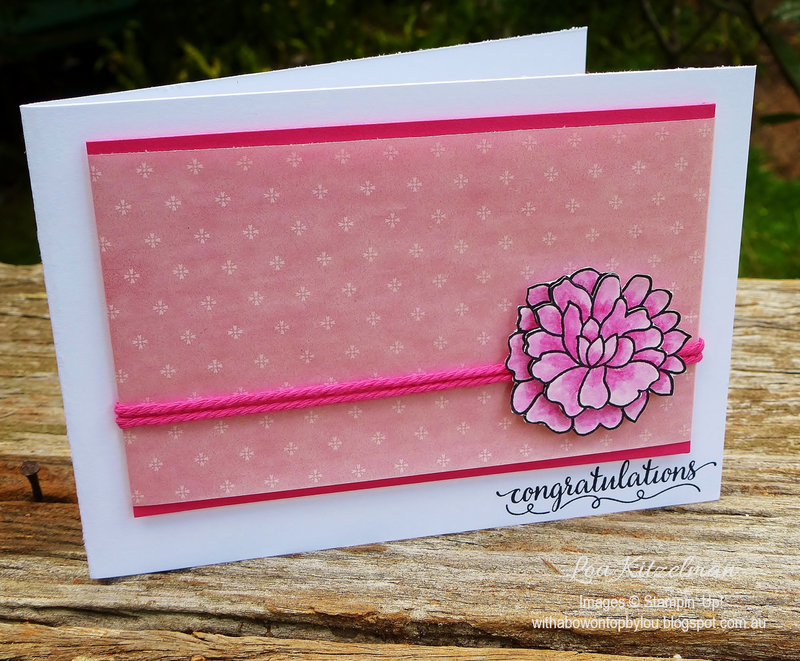 The inspiration for my card started with an elegant card that I saw on American Demonstrator Mary Fish's blog here. I thought it was a perfect way to showcase the flower and sentiments from the So In Love stamp set. As I was demonstrating watercolouring it during a class recently I was talking about how each petal has an ombre effect - shading from light to dark. I'm not sure if that is what the girls at Just Add Ink had in mind when they set this week's challenge but these cards seemed perfect in light of the way I had taught shading using watercolour pencils. I really like the simplicity of this design. It can be changed by simply switching colours. I love a design that allows you to do that. Why reinvent the wheel??? 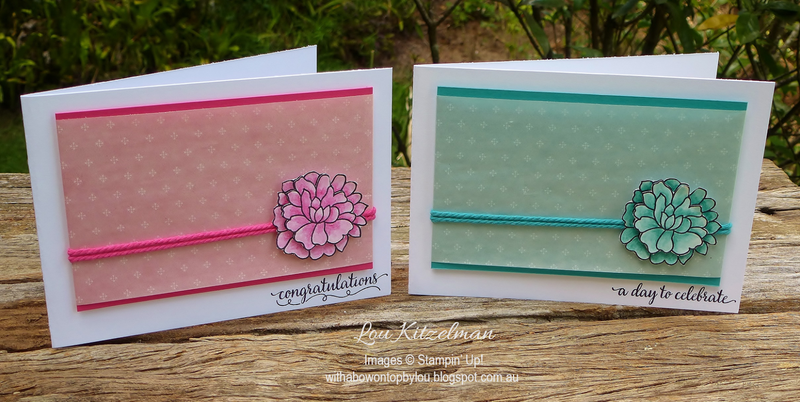 And Stampin' Up! makes it so easy as everything is colour coordinated. 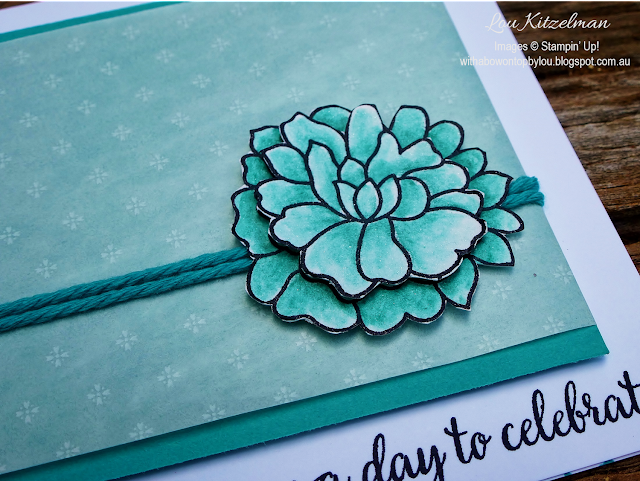 For my first card I chose the Melon Mambo watercolour pencil and then added the matching cardstock and thick baker's twine. The Glassine sheets over the cardstock create a softer effect. 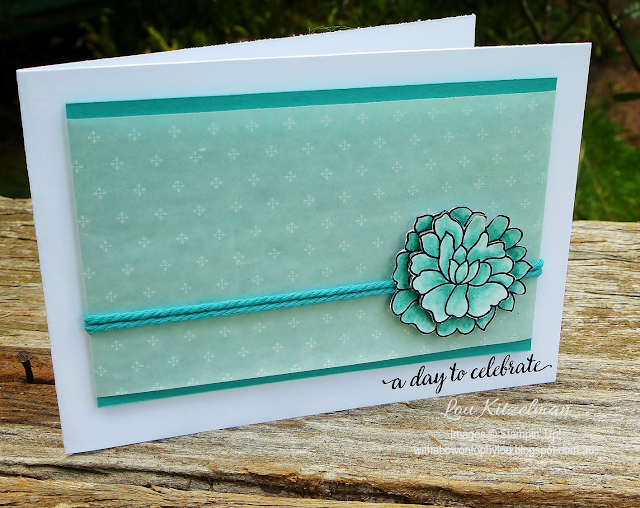 For my second card I used the Bermuda Bay watercolour pencil and the matching cardstock and thick baker's twine. To give the design a bit of height I have raised the main panel on foam adhesive strips. 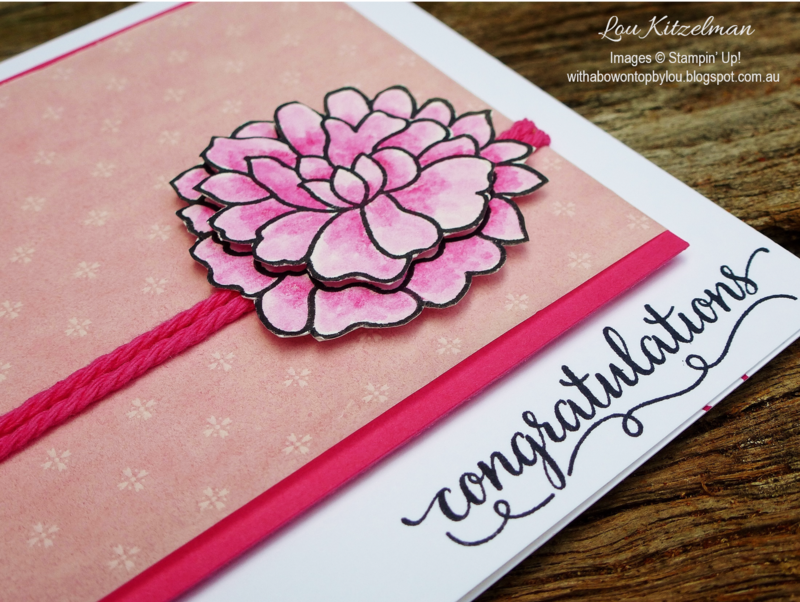 I stamped each flower twice and cut the outer petals off one. Each layer was also raised with the foam adhesive strips. The So in Love stamp set has come versatile sentiments and little detail stamps as well. I think the 'a day to celebrate' stamp suits lots of occasions. Today it could just be to celebrate Monday! Make sure you check out all of the other entries over at Just Add Ink. It is always great to see lots of different perspectives on the one challenge.